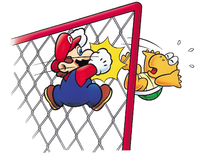 Climbing Koopas are Koopa Troopas that climb fences. 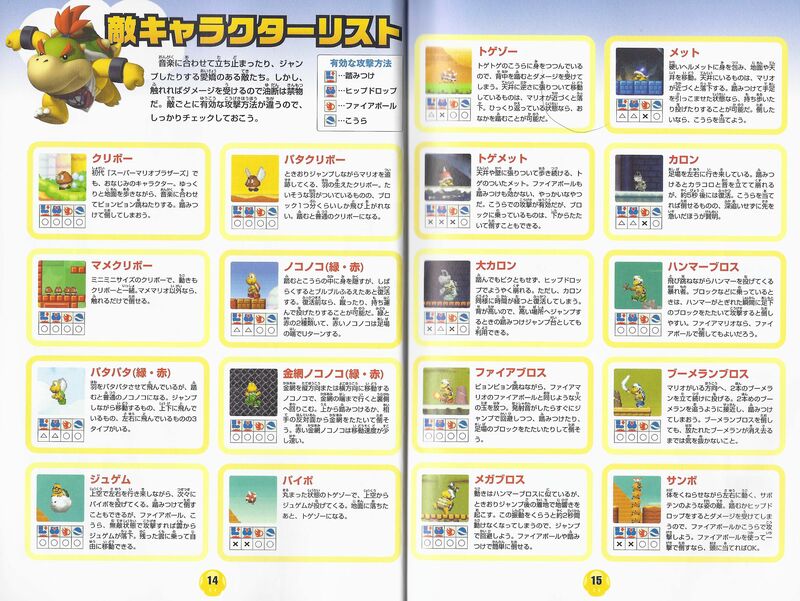 They are found in Super Mario World, New Super Mario Bros., New Super Mario Bros. Wii and New Super Mario Bros. 2. In Super Mario World, Climbing Koopas are found in castles and come in two colors: green and red. The green variety moves slowly while the red variety is as fast as Mario and Luigi. They move in one direction, either horizontal or vertical. When they reach the edge of the fence, they will flip to the opposite side of the fence. They can be easily defeated by fireballs, punches from the opposite side of the fence, or simply having the player be on top of the Koopa as it passes by. The bottom two 8-by-by tiles on their back sprites appear to be flipped by mistake, due to the bottom line on their shells moving opposite of the rest of the shell. They also grant point combos when stepping on them while climbing on the fence, allowing the player to earn extra lives. They do not turn into Mask Koopas after the completion of the Special Zone (or finding all 96 goals in Super Mario World: Super Mario Advance 2). This page was last edited on April 5, 2019, at 19:21.